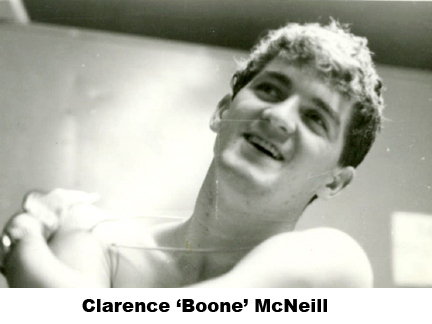 Sgt Clarence L. ‘Boone’ McNeill was killed in action on 5 February 1969, when the EC-47 aircraft tail number 45-1133, call-sign CAP 72, on which he was serving as an Airborne Cryptologic Linguist, was downed by enemy fire over Laos. Sgt McNeill was born on 30 June 1947 in Wayne County, North Carolina and graduated from James Kenan High School, Warsaw, North Carolina in 1965. 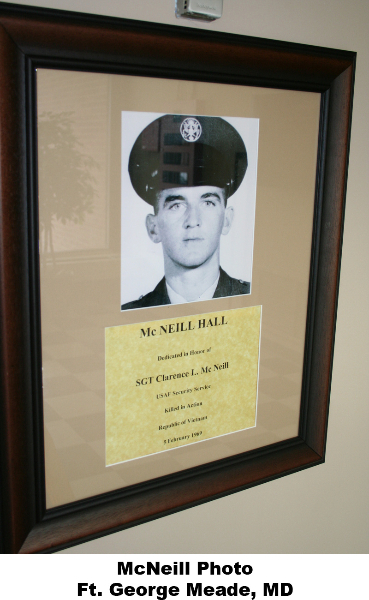 After high school, Sgt McNeill attended East Carolina University until he joined the Air Force. 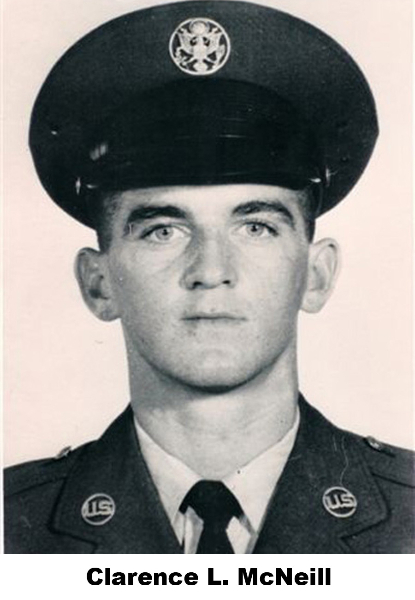 Sgt McNeill enlisted in the U.S. Air Force on 27 June 1966. He completed basic training at Lackland AFB, Texas and Vietnamese language training at the Defense Language Institute, California and technical training at Goodfellow AFB, Texas. 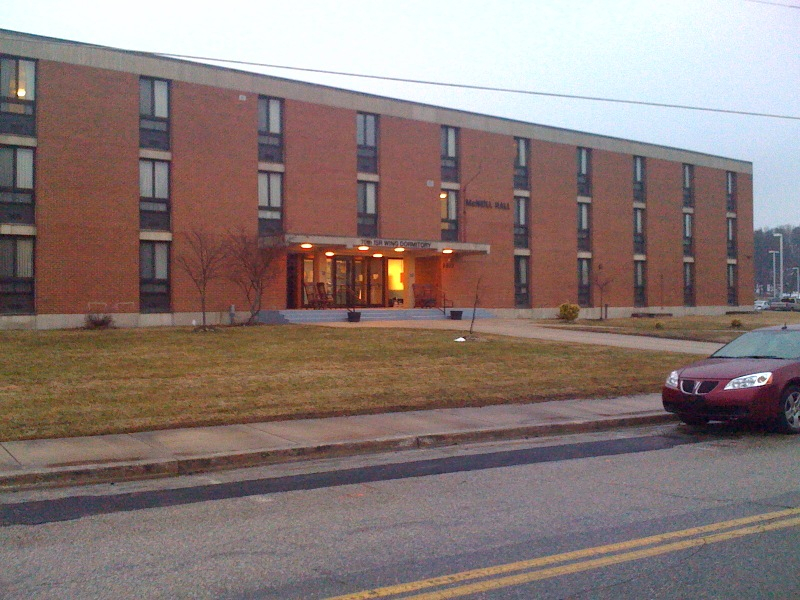 Following completion of training in January 1968, he was assigned to the 6990th Security Group, Kadena Air Base, Okinawa. 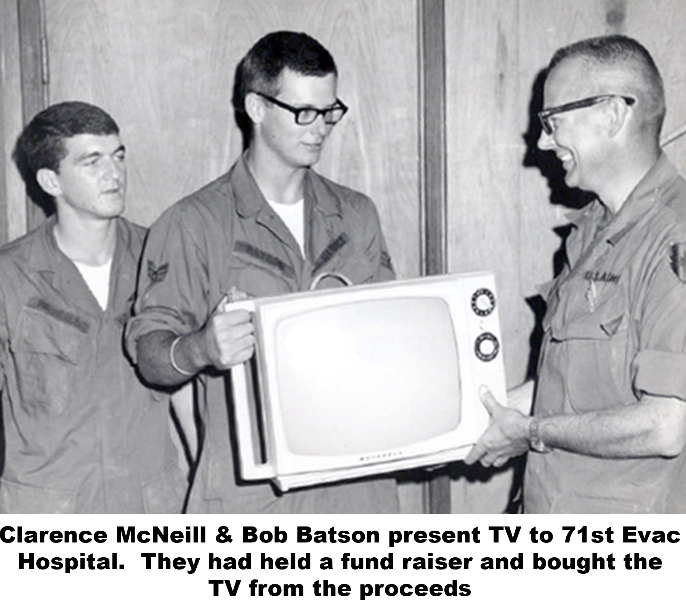 On 29 May 1968, Sgt McNeill was reassigned to Det 2, 6994th Security Squadron, Pleiku Air Base, Vietnam. 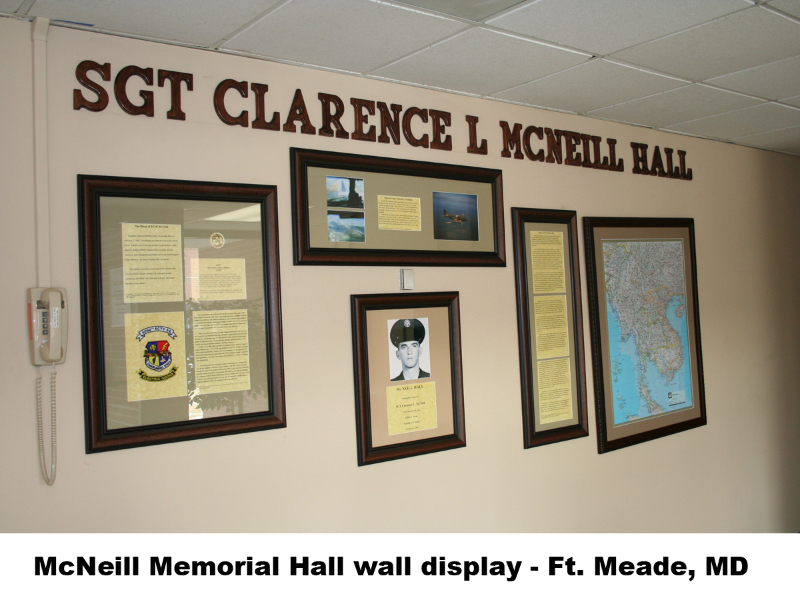 Sgt McNeill was posthumously promoted to the grade of Sergeant on 1 June 1969. 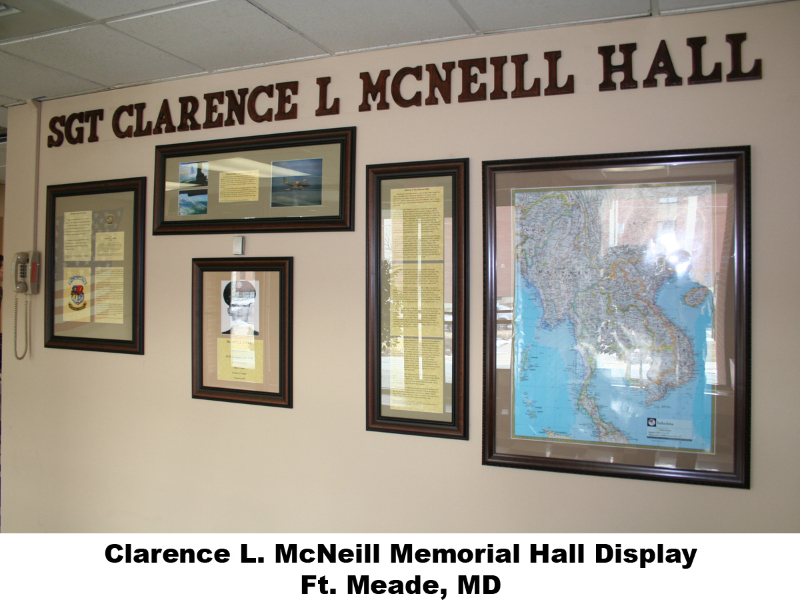 His awards and decorations include the Distinguished Flying Cross, Purple Heart (Posthumously), Air Medal (3rd OLC), Republic of Vietnam Campaign Medal, and Vietnam Service Medal. 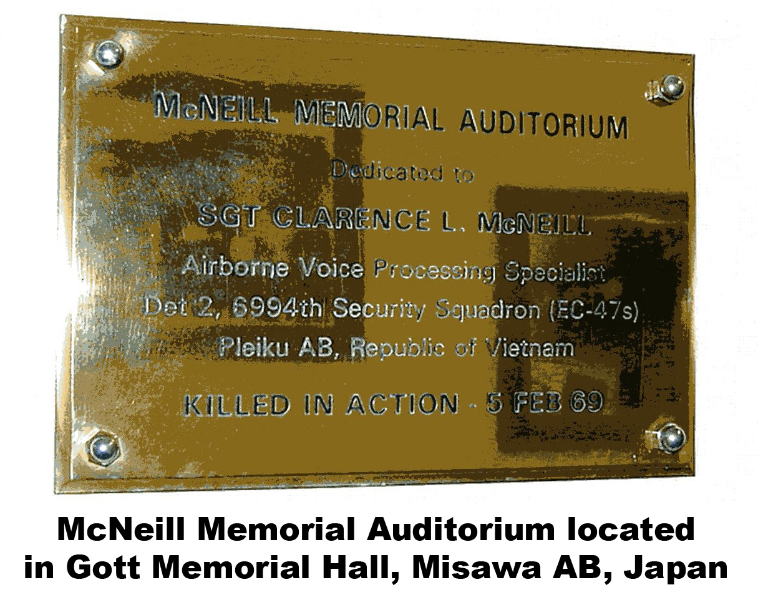 On 11 November 1987, the 301st Security Squadron at Misawa Air Base renamed its auditorium the “ McNeill Memorial Auditorium” in his memory. 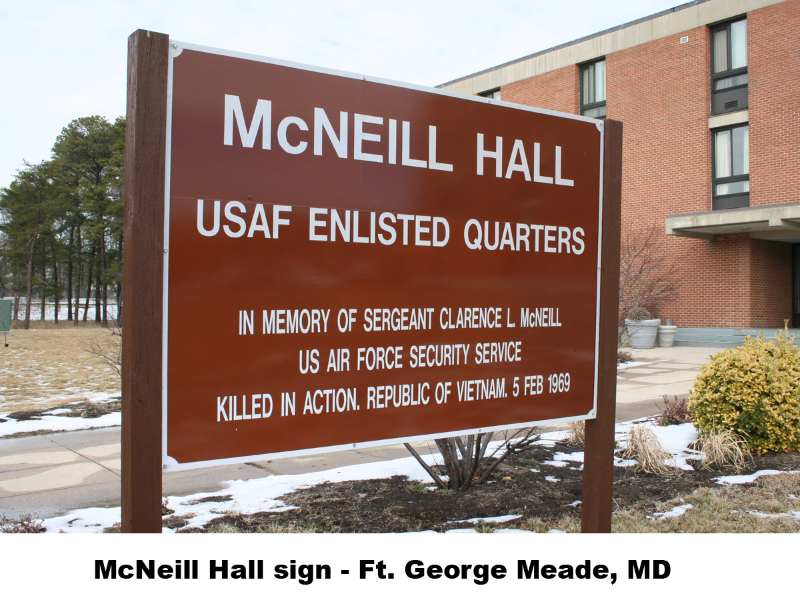 In 2004, an enlisted housing dormitory on Ft. Meade, Maryland was renamed McNeill Hall in his honor. 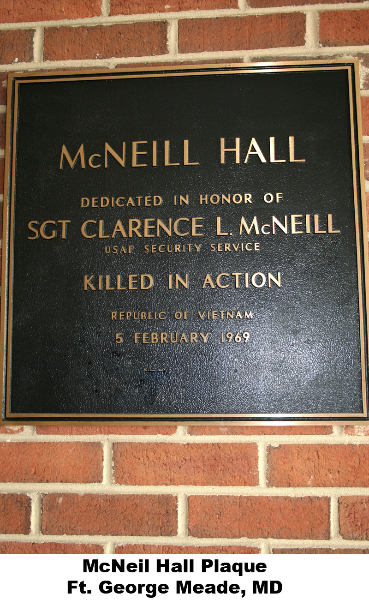 SGT McNeill was initially interred in a communal grave at section 81, site 347, Jefferson Barracks Cemetery, St. Louis, Missouri. However, through advanced DNA testing his remains were identified and on 28 November 2014, he was finally laid to rest in his family plot at the Devotional Gardens Cemetery, Warsaw, NC. His name is engraved on the Vietnam Veterans Memorial Wall on Panel 33W, line 66.